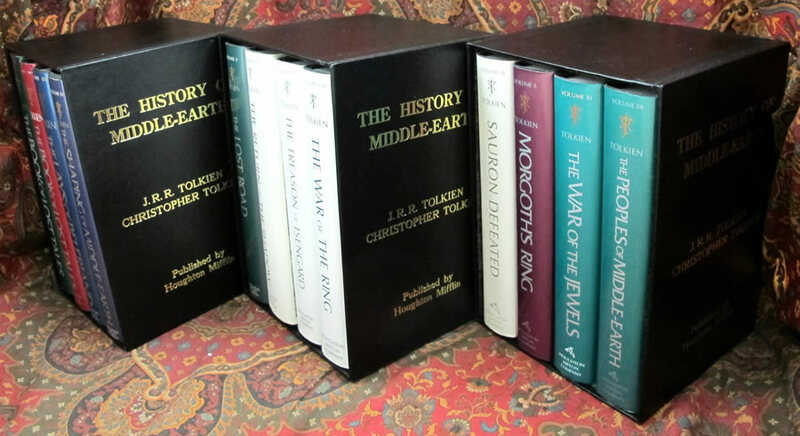 A complete History of Middle Earth, in Twelve Volumes. Houghton Mifflin first printings of all 12 volumes. 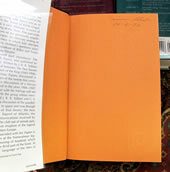 All Near Fine dustjackets are priced, with none clipped. All have full numberline 1 - 10 on title verso, indicating they are all the 1st printings, or impressions. 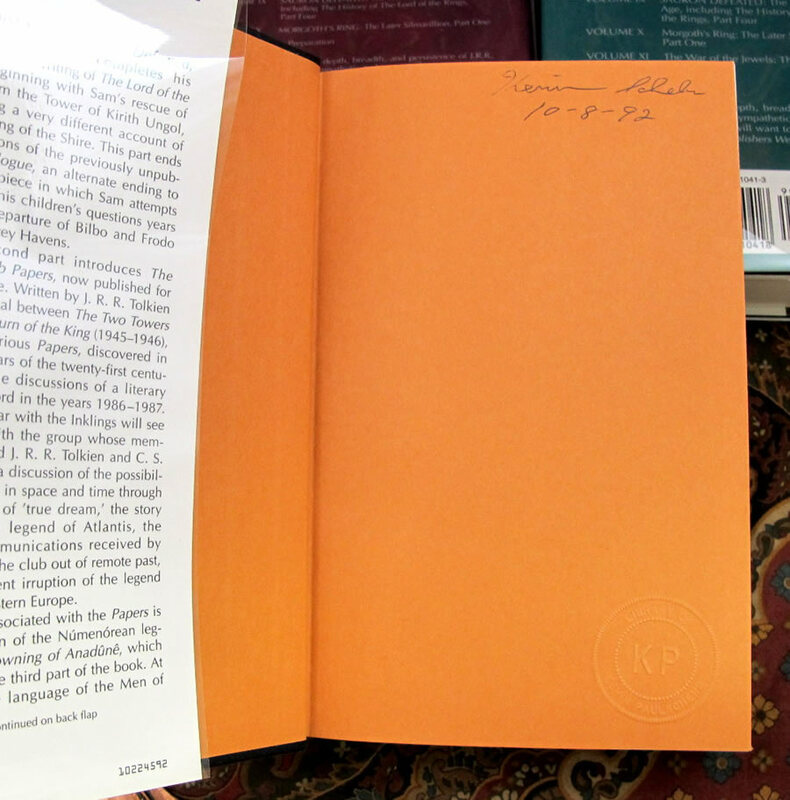 Same previous owners name, date of purchase, and embossed stamp in all of the books to the front free endpaper. No foxing or offsetting in any of the books. 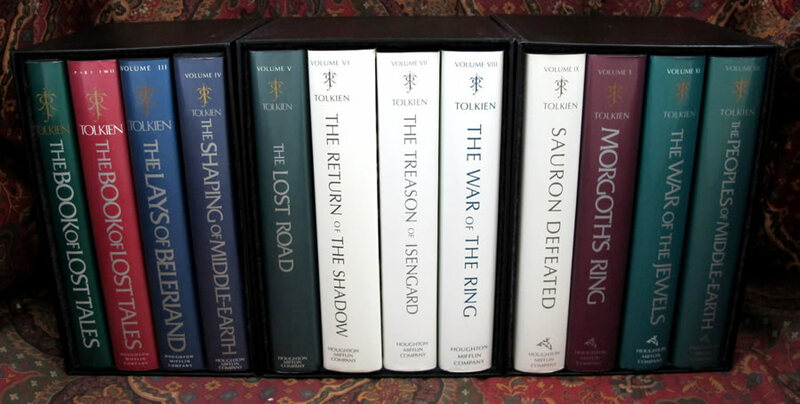 Edited by Christopher Tolkien from his father's manuscripts, detailing the evolution of Tolkien's life long works dealing with Middle Earth. 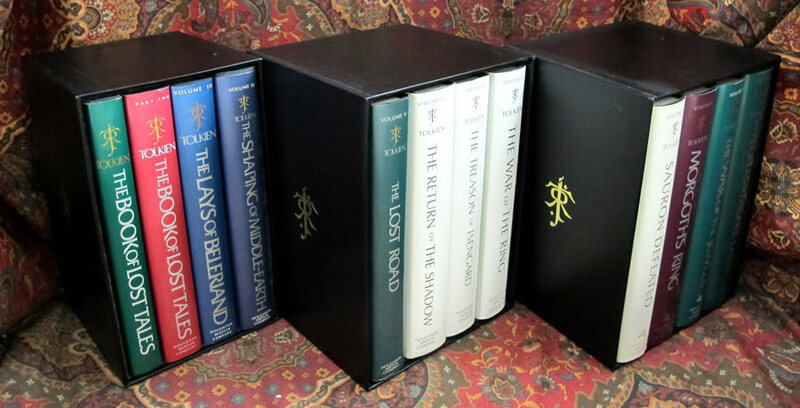 Housed in 3 custom slipcases with the 'History of Middle Earth', author, editor, and publisher gilt stamped to the front cover, with Tolkiens Monogram to the rear. A significant and highly collectable set of this sought after edition.